Zojuist heb ik op Beursplein 5, bij de manifestatie GlobalNoise, een korte toelichting gegeven op de geschiedenis van de gebouwen aan het plein. Die manifestatie vindt plaats, één jaar nadat Occupy op 15 oktober op het Beursplein van start ging. Het leek me leuk om daarom wat elementen uit de geschiedenis naar voren te halen die verwantschap vertonen met Occupy. 2- het vooruitwijzen naar de toekomstige klassenloze maatschappij zonder geld. In feite bouwde de geengageerde socialist Berlage een gebouw voor de handel, vanuit het ideaal dat op termijn die handel er niet meer zou zijn en het gebouw dan een tweede leven als gemeenschapshuis zou kunnen gaan krijgen. De architectuur modelleerde hij dan ook naar de middeleeuwse raadhuizen van Italiaanse stadsrepublieken (Palazzi del Populo) waarin een duidelijke rol voor het volk was weggelegd. Maar je zou ook zomaar kunnen zeggen dat het op allerlei manieren een Occupy-statement avant la lettre was. In de gevel van het pand, aan het Beursplein zijn beide doelstellingen te herkennen. Helemaal bovenin de gevel zien we het wapen van de stad Amsterdam (de twee mannen in een boot) en iets daaronder een gevelsteen van Lambertus Zijl met drie delen: Het paradijs (links), het Verdorven Heden (rechts) en de toekomst (midden). En rechts daarvan zagen we het eind ideaal. Geen klassenmaatschappij. De oude arbeider rechts bergt zijn spullen op en ziet toe hoe zijn kinderen gezamenlijk dansen in een tuin waar man en vrouw gelijk zijn. Ook in 1903 was er al het besef dat je met geld eervol moest omgaan. Om de handelaren daaraan te herinneren was er tussen de Koopmansbeurs en de zaal voor de Effectenbeurs een geldzak te zien , met daarboven een hand. De hand had de vorm van een hand die een eed zweert. Deze morele oproep werd echter weinig gewaardeerd door de handelaren en de hand/geldzak werden verwijderd. 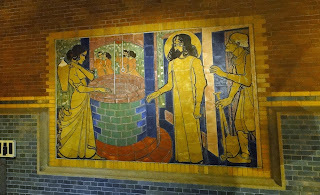 Het zal niet verwonderen dat met deze overdaad aan symboliek (en, dat moet gezegd: de beperkte ruimte en de gebrekkige verwarming in de Beurs van Berlage) de effectenhandelaren na verloop van tijd gingen omkijken naar een nieuw gebouw. Toen het contract afliep en hun portemonnee na een aantal florissante jaren goed gevuld was, kochten de handelaren het Bible Hotel aan het Beursplein op om op die plek een mooi gebouw te laten bouwen, zonder al te veel socialistisch-idealitische symboliek. 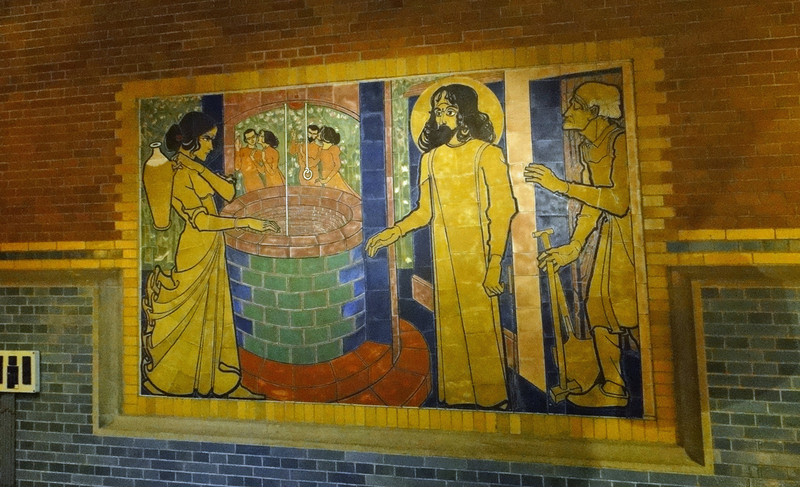 The art of reserve banking (at the Zuid-as Amsterdam) ! Reserve Banking is an art. While Draghi and Bernanke are highly qualified and professional economists, they also master the art of performance. As true actors, they use their voice, their remarks, eyebrows and somewhat vague statements to provide hints and indications that the market then swiftly responds to. It is something you can't learn from the books. It's an art that can only be mastered in practice. What happens there is a unique experiment. 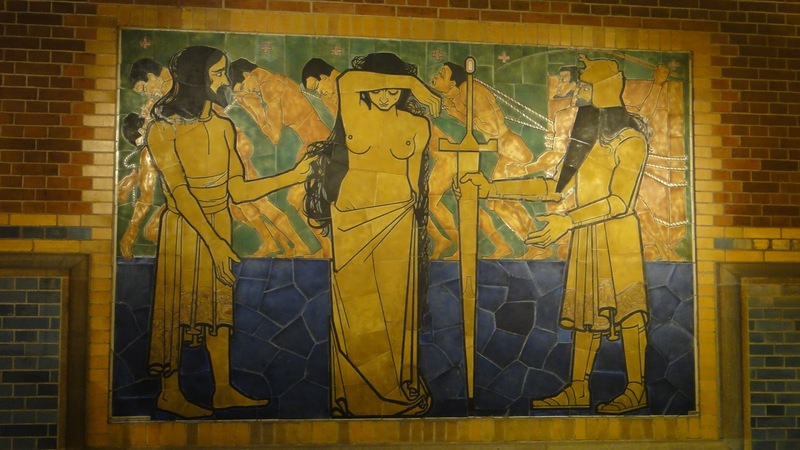 A group of artists have set up, without any monetary funding, a so-called Art Reserve Bank. The plan was there for some time, but as the financial crisis came along, it became easier to convince sponsors to join a project that questions the value basis of money. The main idea is that there is far too much money circulating in the world and that the crisis demonstrates that we need a new approach towards money and debt. And in the experiment, art (or: the intrinsic value of human artistic expression) becomes the money. And thus helps to freshen up or minds and stimulate us to re-think our concept of money. The idea is that for a period of five years, each month 400 coins are minted. These are 4 series of 100 coins per week, costing 100 euro each. 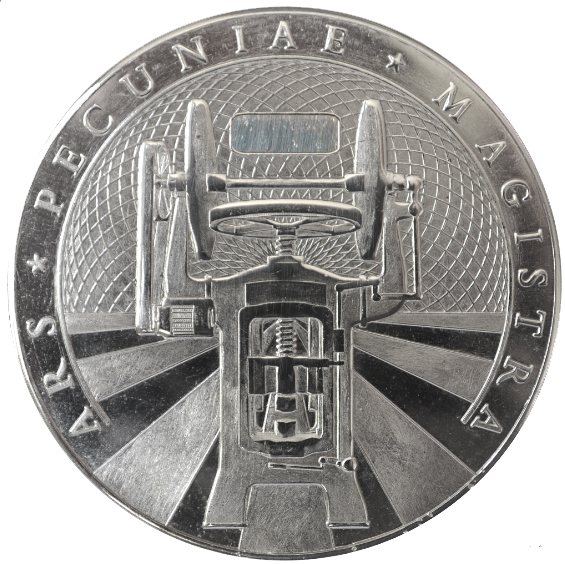 For each month: a different artist is asked to design the coins, which all bear the same backside with the motto: ARS PECUNIA MAGISTRA: Art is the teacher of money. A nice motto and also a tongue-in-cheek reference to the Amsterdam Zoo that bears the motto: Natura Artis Magistra (Nature is the teacher of Art). 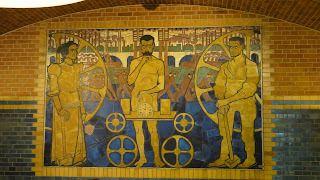 Anyone can buy coins and thus becomes a member of the Cooperative Art Reserve Bank (Kunstreservebank). All holders of the coin are thus the collective owner of the bank. Of the 100 euro costs, 90 % is used to pay for the operational cost of the experiment and 10 % is withheld as a 'cash reserve'. Should a buyer not appreciate his/her work of art, he can return it to the bank and get the original value back with a 10% interest fee. 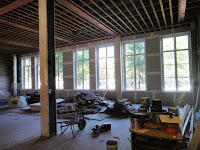 There is also a dealing room on the site of the bank, for those who wish to buy or sell their coinst. And at the end of the five years, all owners of coins can collectively decide what will happen with accumulated capital (if there is any and if the bank stil exists). The experiment challenges one to consider: what is happening in our world of money and value? 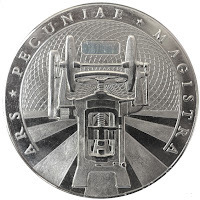 For me, the Art Reserve Bank made me realize that there may now be so much difference between their coins and the official legal tender in circulation. Both coins are the product of our imagination, dreams and creativity. Which is quite clear for the Art Reserve Bank currency, but may be less clear for the euro. So let me try to explain. What happened over decades is that we moved from a mentality of: save first, spend later, to a mechanism of: spend first, repay later. If your story about the future would be probable enough (having a job, education etc) some bank would lend you money. And the same thing was true for businesses. Essentially this is a mechanism where tough choices are made. If you don't have the job or a solid story explaining how you can repay in the future, you don't get money. Which all sounds very realistic. Fact is however, that with hindsight we can now see that banks, consumers and companies have on a large scale lived in dream worlds with expectations of future income, growth that were not realistic after all. Money was created, lent on the basis of these dreams and imagination. And part of that money is now in our pocket. And we also know that some of the debts are definetely not going to be repaid in the future. So wouldn't it be fair to state that some of our euros are just as much the result of our imagination, as the Art Reserve Bank coins? Just last week, the Amsterdam city and its inhabitants were taken by surprise. 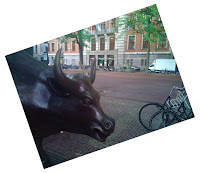 Early Thursday morning, the 5th of July, the famous charging bull of Wall Street had suddenly landed on Beursplein 5: the square where NYSE Euronext operates the Amsterdam stock exchange. It was a present of the artist Arturo di Modica, who felt that our stock markets could use some positivism and a new impulse. stance as they realized the opportunity it provided. It is after all, the third bull placed in a financial district. 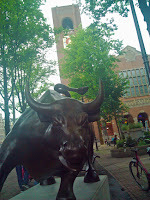 The Wall street bull turned into a tourist attraction and so did the one that was placed in Shanghai, a couple of years ago. I would say that the artist chose his moment wisely. Here in Europe we are in for quite a turbulent period. In the next months and year we will find out if and how all the eurocrisis measures are going to be implemented. And one thing is for certain: with all the budget cutbacks, predicted contractions and slow downs here in Europe, the business and investment climate can defintely use an impulse. “I am working on another Charging Bull which will be placed in the United Arab Emirates and complete the triangle of peace and prosperity". 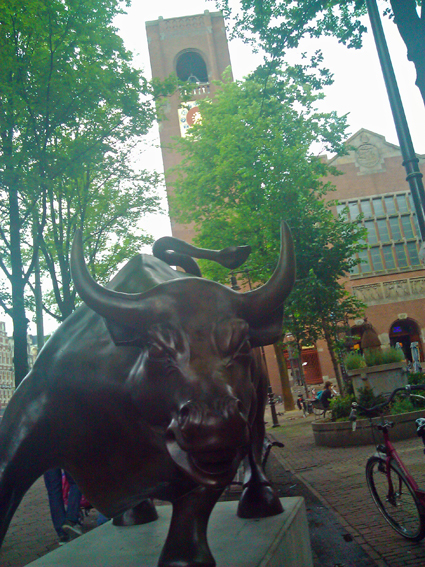 So perhaps it's best to cherish this Charging Bull here in Amsterdam before it becomes a travelling bull that leaves for the warmer climate in Dubai. So I can only encourage you to try it for yourself. If you wish to proceed to the different corners of the building is, you can try to get there using GoogleMaps. 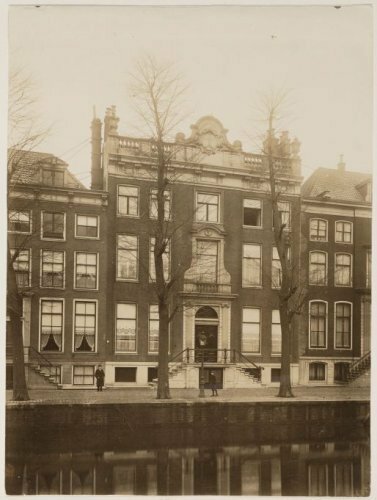 But it is way easier to just follow this link to the Google Art Project Page for the Amsterdam Palace. On this day, 45 years ago, the commercial banks in the Netherlands announced that they were going to set up the bankgirocentrale, a clearing platform for interbank payments. And while they were at it, they also announced the introduction of the betaalcheque, to facilitate point of sale payments by means of a cheque and cheque card. These announcements marked the beginning of the collective move of commercial banks to gain foothold in the retail market and penetrate the retail market with current accounts. It should be noted that the decision to introduce a cheque payment system was inspired by the existing alternative of the credit-card. Banks had seen the cost involving the payment with credit cards and did not wish to penalize the shop owners with transaction fees of 2-5% of the amount paid. So they chose for the paper based system of guranteed cheques. This system existed 35 years and was abolished with the introduction of the euro. 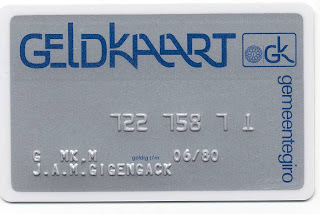 Now, when in the 1980s technology had evolved and credit-cards moved to Europe, the threat of credit-card based Point-of-Sale systems made the Oil Companies of the Netherlands push the banks into building a Dutch point of sale system. And while it did take some time, we eventually ended up with the national PIN-system, as of 1987. And exactly this week, the system has seen its last transactions and is replaced by international debit-card systems. It is interesting to see how the life-time of the cheque-system was 35 years and that of the PIN-system some 25-odd years. And while the credit-card penetration in the Netherlands is still comparably low, it is the mere threat of the expensive credit-card system that has made us introduce some inexepensive own Dutch-flavoured payment systems. Today the Dutch Floriade 2012 has opened its doors in Venlo. 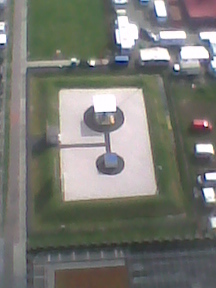 And that reminded me of the Floriade Amsterdam, which was held in 1972. Few people will know that the Floriade of 1972 has a link to the Dutch payment history. Because it almost became the place were the first electronic payments at the point of sale could have been trialled. So what happened in those days....? In the early 1970s there were some discussions about a possible merger of the Amsterdam Municipal Giro (Gemeentegiro Amsterdam, known as GGA) with the Dutch national Giro (Postcheque- and Girodienst). While the national regulators wished the GGA to become part of the National Postal Giro, the City of Amsterdam was very much opposed to that idea, since the GGA generated a nice revenue. And its director Stofkoper, did everything he could to ensure that the GGA could prolong its life as an independent organisation. And for that, he chose the path of innovation into modern electronic payments and banking. Stofkoper invested heavily in study trips to the USA and made sure that the GGA was the first to test and adopt new technology. And for the Floriade of 1972, his true goal was to set up an electronic payment system. So he discussed this idea seperately with the technical people of Bijenkorf and Albert Heijn. He tried to convince them to quickly join in this pilot, suggesting that another interested party would also be willing to step in this pilot and demonstrate an innovative approach. Unfortunetely for the GGA however, the technical staff of Bijenkorf and Albert Heijn were in contact with each other and found out that they were both being courted. And as the idea of setting up a closed-circuit payment system was still too fresh and new to them, they choose not to participate. So the GGA did not have the from then on the GGA chose to focus on alternative uses of the new technology. 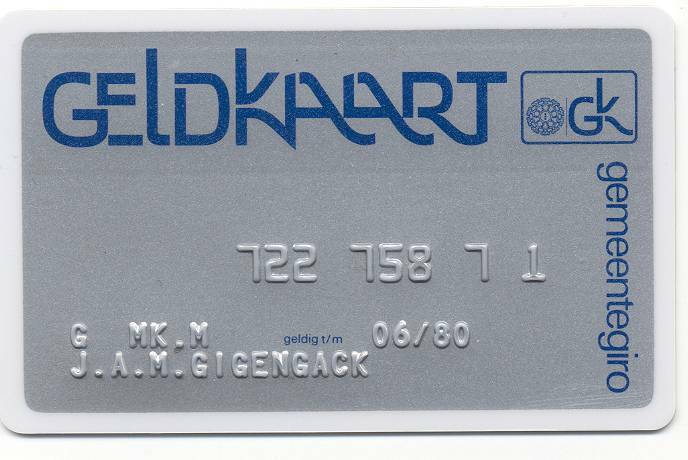 And in 1976 it became the first to provide all its customers with the possibility to withdraw money from an Automated Teller Machine, using a 'betaalkaart'. Now, for those interested in film and photo's of the early days; there is a five-part film around on Youtube that provides nostalgic footage of the Floriade 1972. Today, all the financial news in the Netherlands is dominated by the takeover, by Rabobank, of Friesland Bank. Both are banks that originated in the agraric sector, as cooperative organisations that support local farmers and communities. 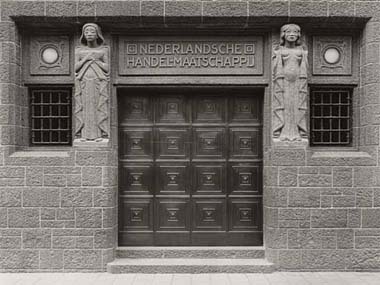 As such Friesland Bank was the only remaining independent cooperative bank still standing. But now, the Competition Authority has immediately granted an 'express decision' to allow the merger between Rabobank and Friesland Bank. This means that the financial situation was serious and we may assume that the Dutch central bank (as a supervisor) chose to stimulate this merger between Rabobank and Friesland Bank (as is - in historical terms - their preferred way of keeping the bank sector healthy). Now if we look at the earlier annual reports of the Friesland Bank we can see what was going on. Over the last five years, the majority of increase in income was due to the private equity function of the bank. So Friesland Bank was a bank and a private equity house at the same time. With the private equity part blossoming in the recent years, while at the same time being a risk factor. Meanwhile, Friesland Bank in some areas (for example processing of securities transactions) needed to cooperate with other banks to ensure a good provision of services. And then, when the market outlooks became more grim, the bank as a whole seriously suffered from the fact that 1) new banking rules led to a higher capital requirement for private-equite activities 2) the revenues of investment went down alongside the general gloomy outlook in markets and investments. What is interesting is the tempo in which this take-over occurred. Because in essence, the risk profile of Friesland Bank (low revenue generating bank with risky private equity holdings) is of course no surprise to Supervisory Board nor to its supervisor: De Nederlandsche Bank. So one might wonder: what took them so long? What happened? I think it's the combination of cultural and personal factors that may have slowed down this take-over. For that to understand, we must recognize that the Frysian Province of the Netherlands is a region with a healthy proud, and sometimes stubborn, attitude as to their uniqueness. They succeeded in getting their language to be maintained as an official administrative language in Friesland. They have the unique 11-cities skating race and many more customs. And it may have been this regional pride that may have stood in the way of their Supervisory or Executive Board of accepting the inevitable. So while there is a lot more to say about this episode, it is fair to state that the Dutch central bank may now -after a number of well-criticized failures- pride itself in having safely managed and seen this transition though. I am not sure if you can see it, but in an effort to blur the faces of all people that accidentally make it to Google-Streetview, Google has decided to also blur the faces of the statues Europe and Asia. As some of you may know, I am quite busy researching and documenting the financial history of Amsterdam. And just today I stumbled accross an interesting find. It all started with the book `Woordenschat, verklaring van woorden en uitdrukkingen' of Taco de Heer en E. Laurillard, dating back to 1899. This explanatory dictionary, edited by Ewoud Sanders contains all kinds of expressions of the Dutch language. As such it is already one of the treasures of the Dutch language of the 19th century. My eyes fell on the description of the word 'Paalgebouw' (litterally: building on Pillars). This nickname was given in Amsterdam to the temporary exchange that could be found on the Dam, between 1836 and 1845. Now what intrigued me is the additional description that I read. It said: 6 of the old Pillars of the Exchange of Hendrick de Keyer are now supporting a domed roof of the homestead of J.B. Stoop, at Woudenberg (near Utrecht). 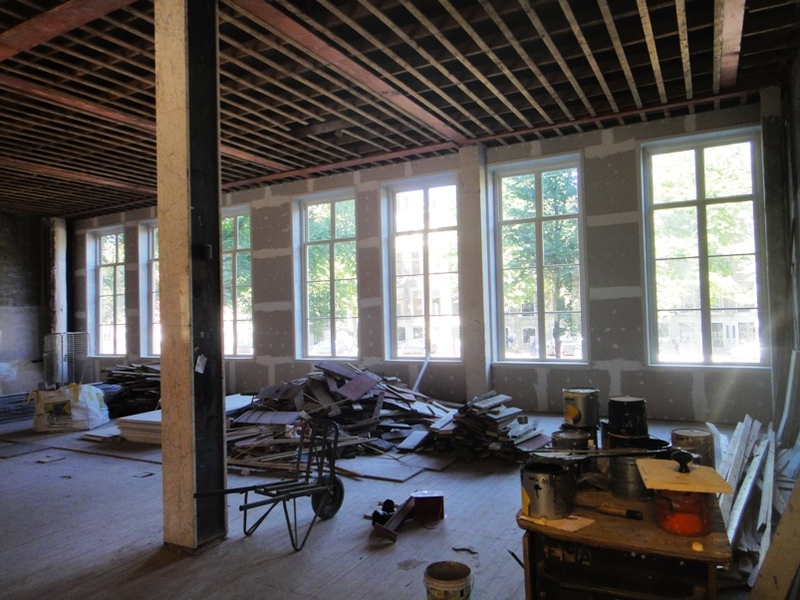 Well, look at that, those pillars might be all that's left of the Stock Exchange of Hendrick de Keyser. 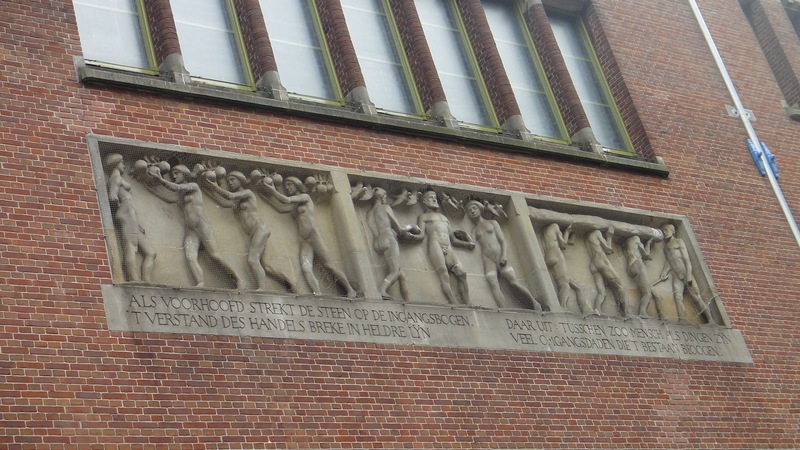 And while one site claims that this is a myth, the Dutch Monument Register contains a description confirming that these pillars are quite likely to have come from Amsterdam. See also this more detailed article. Here in Amsterdam we can pride ourselves in having traded the first shares in the world. This occured at the Stock Exchange of Hendrick de Keyser. The exchange was located at the Rokin and built over the water as the picture below demonstrates. 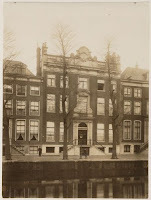 The location of the exchange was quite near the Dam and the Amsterdam Exchange Bank ('Wisselbank). I have made a small picture to outline its location on Google Maps. Now what's very nice is that last year, Capital Amsterdam took the initiative not only to publish a great commemorative book on Amsterdam (Capital Amsterdam) but also to disclose the maquette that they had built, based on the old records. And I was of course keen to film it (with my camera, so it's not a high tech movie, but it does the trick) with the result below. I hope it helps to give a better impression of the building. When I first read about the Occupy movement I focused primarily on the US situation. I came to understand that indeed in the US, the income inequality is quite considerable, so I could really see where the objections of Occupy Wall Street, and the use of 99% (for the masses) and 1% (for the wealthy) were coming from. But here in the Netherlands and in Europa, I figured, it would not be the same. We have more social insurances and social support and income inequality is dealt with differently. At least, so I thought, until I came across the OECD report: An Overview of Growing Income, Inequalities in OECD Countries. And I'll put the two foremost important graphs down here, for a quick snapshot. The first image shows the gradual liberalisation of the markets in the OECD-countries. And it is followed by an outline of the increase (!) in income inequality in that same time-frame. Of course the OECD goes at length to describe how this mechanism has worked. But if I were to summarize it, I would say: with the liberalization of markets, capital can flow more freely than labour. Thus, those who only have labour to sell, cannot find their optimum earning capacity (due to a restraint in terms of travel etc.) while those who have capital can. And therefore the liberalisation of capital markets (without a similar liberalization of labour markets) will go hand in hand with an increase in income inquality. And as the neoliberal dogma is indeed the dominant frame of reference in our western societies, it is fair to say that the OECD data prove the Occupy movement to be right in their objection to unlimited capital flows and in their desire to compensate the income inequelity effects of these flows by means of other political measures.